How will people find your local business... According to Google so today more than 80% of people use a search engine to find: local information, businesses, products or services. Yes, we know that people have in the last 6 years very quick have adopted the new behavior patterns on the internet. Her is the list of how can you make your business easy to find on the internet: Become search, user and mobile friendly. The best way to do that is to present an "4 pillars" Internet Presence. Install NAP data. local keywords. Overfill your sites, with your unique, home-made, valuable and relevant content... Then your local Business will fill a big need, to solve people search intent. Social media and in particilarly Facebook is the place where probably a majority of your visitors and customers already have an account. Many believe that Facebook will soon start up their own version of a local search engine. Make sure that you already have a well-established social business site there, when that day comes. Check out and make sure that your Facebook business profile is complete. This is similar to your, Google My Business (GMB) profile. And that includes: NAP data, contact information, details about your business and interactive functions you can adopt. Find Local Business, Create a "4 pillars" Internet Presence, Install NAP Data, Local Keywords, Become User And Mobile Friendly, Overfill Your Sites With Your Home-Made Valuable and Relevant Content. Google has also turned on, their heavy spotlights, to help people find local Businesses. Because over 80% of all web searches have a local intent, according to Google own data. Globally it estimated that it exists around 200 millions small Businesses and independent ventures. And as i have said, still, over 50% of those, have no one, or have a very poor internet presence. 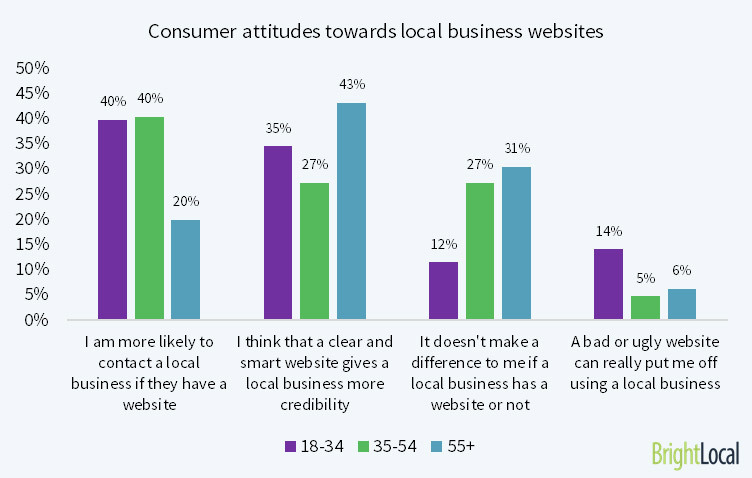 So sadly the facts is, when people make an internet search to find local Businesses, probably more than 50% of all potential small local Businesses, will not be found because they have got such a poor internet presence... But here at my site, there is simple, quick and inexpensive help to get, for all those small Biz. The on-going guidance from Google is, that all Businesses should focus on creating valuable and relevant content, that is written firstly for human being.. Keep in mind that people do not click on your sites, or visit your business, because of what you do, or because of your products or services you offer..
People want click on your Business sites because of, Why you do what you do, and Why you offer your products or services .. And by "why" I do not mean to make money, or get a profit. Because that it is a result, and will always be a results..
UPDATE ON GOOGLE MY BUSINESS.. Posting direct on Google my business.. Let your Business stands out with a new free and super simple to use tool on Google my business.. Yes it's a part of your "4 pillars" internet presence.. To regularly posting on your google listings, gives you a new way to be found on internet, and to engaging with your potential visitors and customers..
small business online marketing 2018. Super boosting the ability for your potential visitors and customers, to find your local business. You know, in the today's very loud internet noise, small Business marketing online is about a mix of both paid and free organic search result... I have written a separate article about, Advertise Business online. And you as small business owner has the great advantage, to easy visualize your big passion for your business, your products or services, because you so often have direct contact with visitors and customers. In small businesses is What they do and Why they do it, in a parallel line. 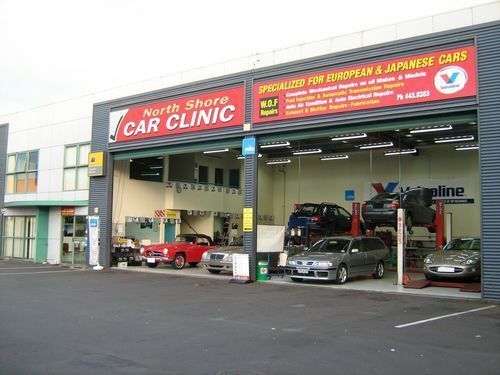 It is born out of the owner's personality, big interest and passion for his Business. To clarify the "why" and the purpose of an small business, is relatively easy because the source to passion is very near. In fact, the source (the owner) is physically present every day. I have written an article, find your Niche. That article is about another example of a small family owned business, which is build on the owner big interest. And where you will really see, a small Business grow from a small local business and "side gig", in the end of 1990s, into an web based family business, ranked at "Google page 1" on one of the world most famous brand names. In this example you will really see, why a "4 pillars" internet presence, makes it very easy for potential visitors and customers, to find small local Businesses, on the internet. WHY WILL PEOPLE CLICK ON YOUR SITE? CLARIFY THE PURPOSE OF YOUR BUSINESS! People are today more likely to skip poor sites, and search further to find a mobile friendly Business site. MidlifersWebBusiness.com Gives You Free Guidance. During the last few years, the search engines have really become smarter. People have now access to smarter computers and different smart mobile devices. As an result, they have totally changed their behavioral patterns on internet. Your biggest challenge as a small business owner, is to making your business super simple to be find on internet, for your potential visitors and customers. Why will people decide to click on your site? Why will people decide to visit your "brick and mortar"? Why will people decide to buy your products or services? Well, people simply don't buy what you do or offers. As i have said above.. People will click on your links, visit your "brick and mortar" and buy your products or services because of Why you offers them. And by "why" i don't mean to earn money or make a profit. Because that is a result and will always be an results. You must clarify the purpose with your business, and without need for any trickery and manipulations, you shall use the CTPM methode. So what is this CTPM method? (Content, Traffic, PREsell, Monetize). It's simply your small Business website tool. You start where your potential visitors and customers begins, by offering a extraordinary content, that clarify the purpose of your small Business. People do Internet search and will find your local business. Win them over with your personal, unique and relevant "PREselling" content. That can give them exactly what they are looking for ... Quality solutions, answers, information on your attractive products and service. RELEVANT DESCRIPTION, PHOTOS, STOCK STATUS. Relevant outside - inside pictures and videos, is something that you include because today's consumers simply expect to find this, on a modern Business Site. To see the prices of products and services, including current stock status consider consumers, as positive and user friendly service. Your current and potential customers, use the internet to find photos, information about your offerings, before they decide. Of course they also look at your competitors' sites. Using pictures and videos on your local business will give your visitors a vastly improved user experience of your blog or website. As I have said, do not forget that today it is over 80% of your potential customers, that will get their initial impressions online on your, "brick and mortar" business, and Not when they actually, visits your physical Store and Business. Find local business, is easier if potential visitors and customers can see how the building looks. No ads can beat a photo taken by a happy customer with an review and posted on your Business Social sites. MidlifersWebBusiness.com Gives Free Guidance. In the digital reality of today, must small businesses begin to understand their visitors and customers, and their new behavior patterns on Internet. Find local business on internet, its no longer about to quickly throw up a blog or a Facebook page, and believe you have a real internet presence. But don't worried, to place your small local business, infront of your target audience. Today, that is not about, big digital investments, or big web technical knowledge. You can easy fix it Yourself. Just keep it simple.. Written down with your unique voice and style. You will write like you do when you meet visitors and customers in your "brick and mortar". Why is that necessary? Because thats what makes your small business so unique. And it is extremly hard for your competitors to copy that, because it's part of you and your personality..
Online shopping reached all-time high in 2016, 2017 and even to date in 2017 That is because more and more Small local businesses, with a proper Business site, also can offer e Commerce, those are also without any doubt the big winners. As i have said, to Verify your business with google is indispensable for you to helping people find local Business. It's quick to complete and is free, it gives you a unique opportunity to appear on Google maps, and in local search results for questions specific to your small business, your products or services..
Google has updated its search quality rating guidelines. Since this article is about how consumers use search engines to find a business, back in November 2015, Google rolled out a New Update, the first in this area since 2013. It is in short about how consumers use the internet, to find what they are searched for..
And for sure, new updates will come in future, keep an eye on them. But more important, stay focused on your own business, make sure that you can helping your target potential visitors and customers, with solving their search intent. If you have not already read the new google update, so I recommend you take a look. There you can see that the natural and logical CTPM method (Content, Traffic, Presell, Monetize), is completely in line with how Google sees online search, and ranking. To give Internet users the answers they're looking for, Quick! In short, It assumes you can provide a unique, valuable and relevant content. As consumers find on your user and mobile friendly site..
As most people know around this globe, the time when you sat and fiddled with a phone book, yellow pages, etc, is for most is now history. The Internet's very rapid development in the last few years, and especially the number of new smart phone users has done to people today almost does not use a traditional phone directory anymore, to find their local businesses, local stores, etc. Because today people use their smart phones, and make a Quick mobile search, and that will in the next 5-year period to grow enormously. So for example, if you are going to buy a pair of jeans, you need service for your car, you need an electrician, etc. Probably you already know where to get local help to solve your needs locally where you live. Today, people do first internet search on their smart phones, even when they should make local purchases, to obtain information, make comparisons, to find new shops. But lets take an simply example that actually happened to me, my lawnmower broke down, typically also when the grass grows at most and of course during the holiday season here in Sweden, when companies have lower personnel numbers . Although I very well know of several local companies that repair lawn mowers, but anyway I did a quick google search, I just typ in this few words ("repairing lawn mower, and the name of my city"). Voila... I found a new workshop so my lown mower problem became solved at the same day, at a local business/workshop, that I previously did not know about..
Today most people want to do some quick pressure to find their local business to get information and find a problem solver. MidlifersWebBusiness.com Give you Free Tips and Good Advice. What about ONLINE LOCAL ADVERTISING. Just in the last few years, very much have happened connected to online advertising. Back in time, to advertise was associated with large costs. Today you should regularly "boosting" your Focebook posts... Dennis Yu, is well-known spokesman for that particular a-dollar-a-day strategy... Video marketing / Vlogging for small Businesses, is a sharply rising find local business trend, according to Dennis Yu... And you also find tons of signals on internet on that. And talking about Facebook, I have written an separate Article about Social media, for small Businesses.. And as i have said, today small local business, must have a mix of paid and organic search results. Of course the problem for small business owners is that they are so overloaded with work, so they do nearly no marketing effort in the end. I recommend you to start small, to avoid time consuming and costly mistakes. To "boosting posts" is a brilliant low budget, quick and easy metode. I Believe local SEO (search engine optimization) it's very important. 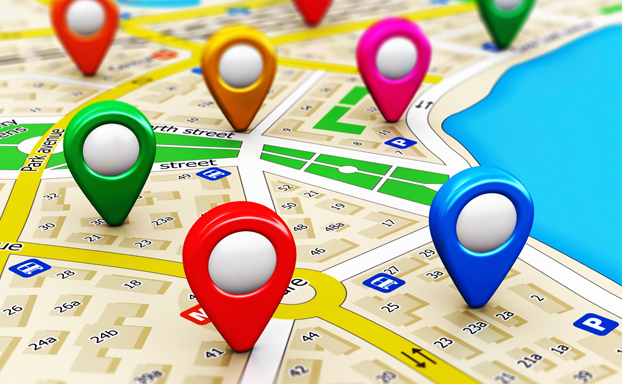 Many of small business owner are probably wondering, what exactly is this local SEO? How is different from the existing SEO efforts? And what should you start with? Don't worry, but today your company needs to be optimized for local marketing, and it is no longer an issue to consider, or look at another day. Your customers are already out there on the Web, with their "smart mobile devices" and are looking for your Business, Products or Services. And your competitors are maybe already today online, or very soon to be. why YOU shall HAVE A REAL BUSINESS TOOLS? Small local "brick and mortar" business without any real business sites, can losing around 50% of potential visitors and customers, to competitors that have an complete business presence, and that's reality today. But make no hasty mistake, your Social Media pages, cannot replace your Business site. 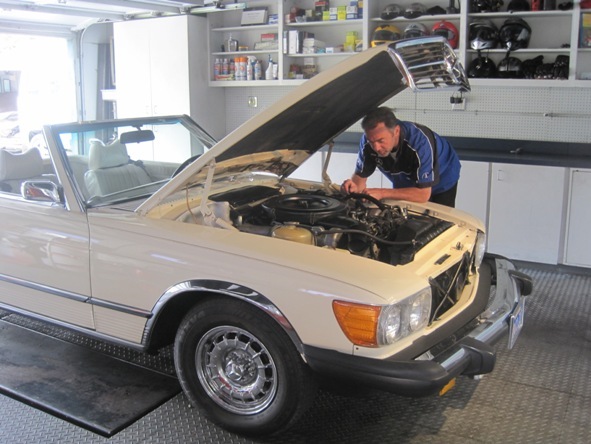 Nobody questions that a car mechanic have real tools to fixing your car, or if a doctor have proper equipment to make a surgery. But as i have said, today in 2018, more than 50% of all small businesses, do not have one, or have an very poor internet presence. The purpose of my website, is to give small local businesses, free tips and guidance, how you can by yourself create a proper mobile friendly internet presence, and why it's so important. What is your internet presence today? If you do not have a real Business site, it's about time you get it. At the same time, so is the process quicker and easier for you, because now you really have the opportunity to make everything right from the early beginning. Do not be worried, I have written a separate Article about your Website Tool. You that already have a Business website, where everything works as it should and that is mobile friendly, may yet have to do updates. Most think of updates and rebranding, like a expensive, very complicated, time consuming review that require a large investment. But to do something just a little different, from your status quo will raise your new and fixed customers interests. And above all, it will make that your local business, really become clearly visible, and long before your competitors, when people do internet searches. why is verified your business with google important. My whole website is all about it, but let's go through over again. Place your small local Business on Google for Free. Google My Business gives you direct contact with your customers, whether they're making a business search looking for you on the: Google Search, Maps or Google+. Make absolutely sure that all of your NAP data, on internet is exactly the same, on every places that you are listed in. Testing the search result yourself, by make a search on your own business, at Google crome "incognito" mode.. That can reveal some mistakes, and find issues that need to be corrected. The Address of your business. The Phone number to your business. Being able to quickly spotted your NAP Data, also shows your physical store opening hours, at your business sites without visitors having to searching for it. That is exactly what your potential customers want to see .. It signals also, of course, that your "brick and mortar", is a Reputable Business. I become myself, very annoyed by having to search for this information and find it with small text in some corner when I visit a website or their social sites. As you may know, Google also sees the NAP Data as very important. I strongly recommended you to have your NAP data on every page, with text size easy to spot. This is a simple and fast action you should immediately fix, and your potential visitors and customers will become very happy..
Why will you need to optimize your business website for relevant local keywords? Because there will be much easier for Google and your potential customers to find you, and to understand the purpose of your business. Put yourself in one of your potential visitors and customers clothes.. Imagine that you have a small local company, in the small town of Jomtien, which located outside the capital Bangkok in Thailand. Your company sells lawn mowers, and repairing also lawn mower that has been broken. Make everything as proper as possible from the beginning. Do not looking for shortcuts, or thinking that some actions is not needed. So what keywords do you think a potential customers likely to enter when they do a google search for buying a new lawnmower, or need to repair his broken lawn mowers? Well.. they will probably to type in, "repair lawn mower in Jomtien". So your site, shall include, "local keywords" and "long tail-local phrases" connected to your Business name and of your location name. Place your relevant keywords with natural elegance, into every article on your Business site. Today all consumers use Google and other Search Engines daily, to easily and quickly find a local business.. MidlifersWebBusiness.com Give you Free Tips and Good Advice. Today Google working hard to improve "voice search" on the search engine. And this will go fast, and google will be much better to understand many types of language. I think it's many different type of situation, where voice search is very convenient and safer. 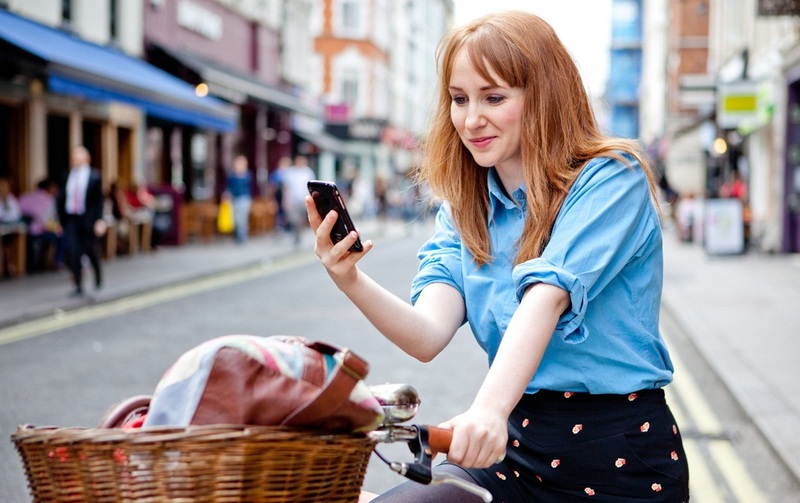 The next time you find yourself at your local street where you live, so you'll probably see a lot of people look down on their smartphones. Yes, some of them reading emails, play Poke´mon Go, checking facebook, twitter, but many are likely to find the nearest place to buy something, looking for a certain address using, Google maps GPS navigation. As you know, smartphones have changed the entire process of searching for and obtaining information, especially when it comes to finding local business, products and services. 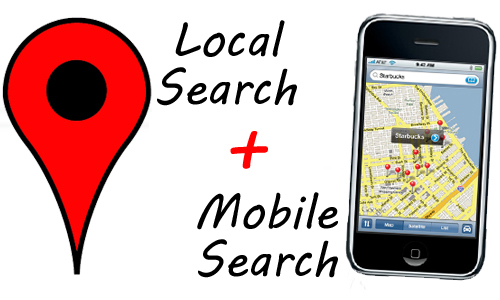 Consumers use Mobile Search to quickly find what they want in the surrounding area. As you might have thought, "local search" are not only for informational purposes; consumers will make decisions and actually taking direct action shortly after they find a satisfactory search results. Google working hard to fine tuning "voice search". 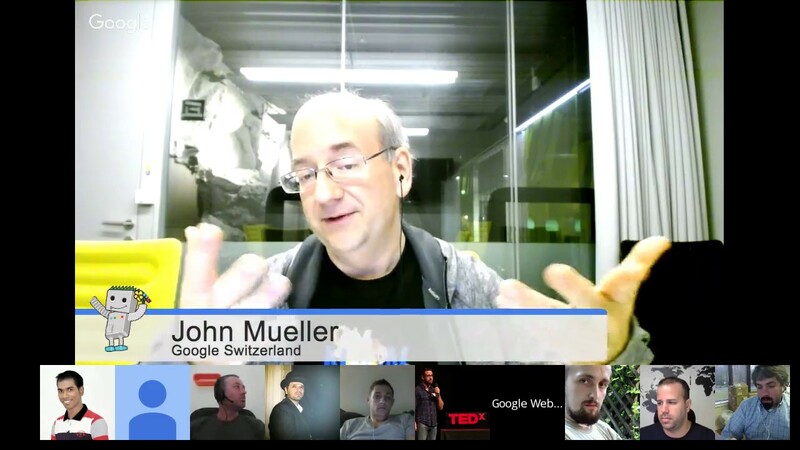 Your "4 pillars" internet presence will help Google. MidlifersWebBusiness.com Gives Free Tips and Guidance. 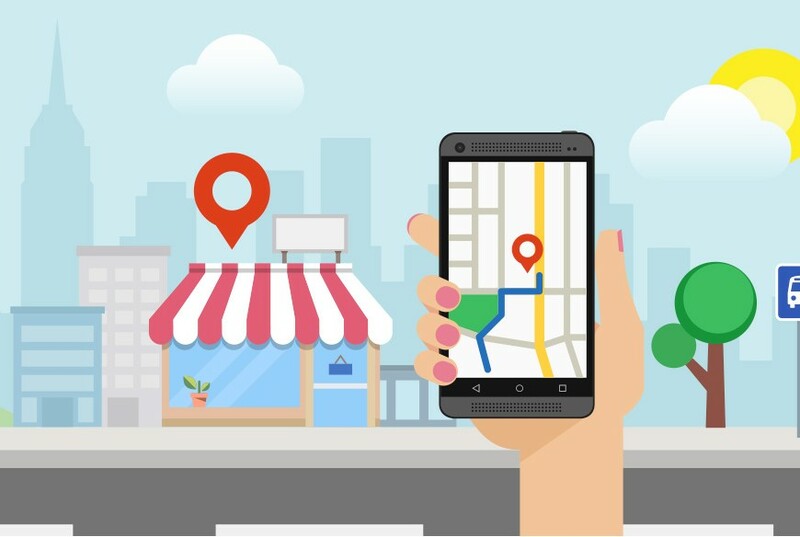 According to Google's own data, over 50% of consumers who conduct local searches on their smartphone, go to a store or business that day, and nearly 20 percent make a purchase within a few days. Therefore, if you are a small business owner be searchable, especially mobile unit, if they want to attract to you local customers, again as I have said many times it's Super important that you have a real Business site, and that is Mobile Friendly. Different industries, can of course prepare in their own way for all spontaneous, action-now moments by simply thinking through situations where consumers may search for your store and make sure they are ready for them. As a business owner you should try think like your customers, when they're looking for your products or services. There are various analysis tools, and even day-to-day observations and patterns that can help you figure out when these situations are most likely to occur. When it comes to Social Media to understand small business owners today that it is a must, whether you like it or not.. All your potential customer have today Social Media accounts. The absolute minimum, I believe, is that you give your visitors, the ability to comment, posting images, give reviews. Establish Business accounts on, Google+, Facebook, Twitter and Pinterest. On for example Facebook, You can set up a Business page, it's quick and simple. Once again do not forget to put your NAP Data: Your business name, Your address and phone number, on all pages, even on Social Media.. Your social business profile data, is simular to what is required in google my business. But do not leave blank lines there. Because it just wants to limit the possibilities for your audience to find you, on search engines and social media. However.. I Believe, many small business owners, look at social media for the wrong thing. Social media acts as a relationship builder, where people can make recommendations of your local business, where your business name will be mentioned in various everyday conversations.. Your Social sites, shall be a source to increase web traffic to your Business Site. That update your Social pages, is important, but you don't need to posting 10 times per day. there is not a place for heavy "sale pitch", instead and in connection with all your posts, you should leave a link to your own Business website, where it is you, who decides. ..
As i have said, your social media pages, can never replace your Business website. Why? Simply because you can not own your Social pages, in the same way, as your own Business site. You can read more in my social media marketing article. Mainly, it is the more often your listing consistently over several informants, the more likely it is to trust, and the more likely it is that your business be served up by Google or any of the other search engines when someone enters a search term. Find local Business is about verified your Business with Google. So that your customers can find you, before they find your competitors. MidlifersWebBusiness.com Give You Free Tips and Guidance. 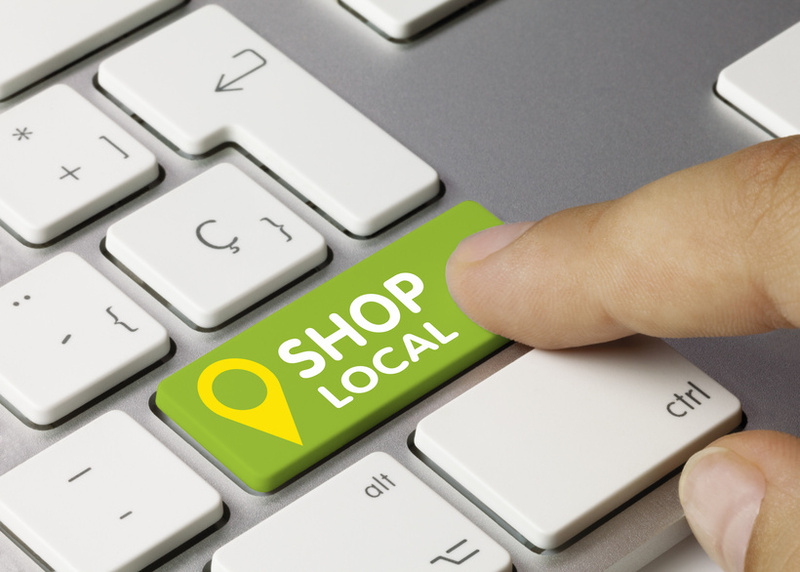 No matter what tactics or technology that you now choose to implement in your own local "brick and mortar", it is important that you plan for local searches. People must find your local Business online. Whether you are a small local "brick and mortar" or global Business. The only way is to offer a "4 pillars" Internet Presence..
Do not thinking, that it is more complicated than it actually is. Today it has become simple to by yourself create a proper internet presence. Overfill that, with unique value, your own "homemade" content. To regularly "boosting your posts" means you will reach out to your target audiences. Writing and focusing first for your users, real human being.. When consumers do a Google search for a flower shop in the town/city where you have your small flower shop, so should your business show up First. The small Business owners that are fully concentrated to helping, to serving their potential customers search intent, will not only be able to deliver, they will also build a strong brand awareness among their many local customers.